Speaker: Ken Olende, contributor to the new book ‘Say it Loud! 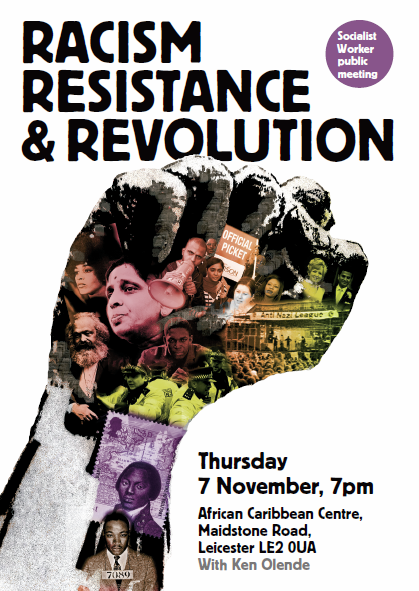 Marxism and the fight against racism’ there will also be a bookstall, visuals and discussion. Racism, and the fight against it, has been a feature of society for generations. From the rebellions against slavery in the 18th and 19th centuries to the struggle for civil rights in the 1960s, people have sought to overcome division using imaginative and militant tactics. Today, as we fight against police harassment, the rabid racism of UKIP and the Tories, and the fascists of the EDL, we can draw on a long tradition of resistance. It is a radical history of black and white working class unity that goes back hundreds of years and continues into the present. This public meeting will counter the myth that racism is inevitable. It will show how oppression is a part of capitalism. And it will put the case for a revolutionary struggle that can put an end to both. 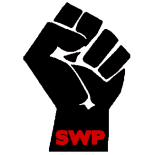 This entry was posted on Oct 27, 2013 by leicestersocialistworkersparty in Uncategorized.